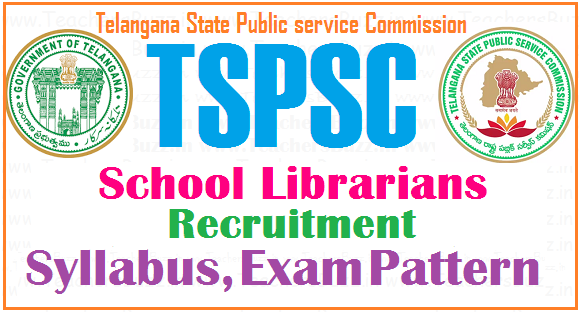 TSPSC School Librarians Recruitment Syllabus, Exam Pattern/ Scheme of Examination. TSPSC School Librarians Recruitment Syllabus, Exam Pattern/ Scheme of Examination, TSPSC PETs Syllabus, Exam Pattern, TSPSC School Librarians recruitment syllabus,exam pattern, TSPSC Gurukulams School Librarians recruitment syllabus,exam pattern; Scheme and Syllabus for the post of School Librarians in Residential Educational Institution Societies; Preliminary (Screening Test) Scheme and Syllabus, Main Examination Scheme and Syllabus for the post of School Librarians. TSPSC TS Social welfare Gurukulam School Librarian Posts Recruitment examination pattern, TSREIS(School Education), TSWREIS (Social Welfare), MJP TSBCWREIS (BC Welfare), TSTWREIS(Tribal Welfare), TSMWREIS (Minority Welfare) School Librarians Recruitment Scheme of exam. TS Residential Schools, Colleges Teaching staff recruitment examination pattern, Telangana bc,sc sw,st,minority gurukulam schools School Librarians recruitment syllabus, exam scheme, TS bc,social,tribal,minority welfare gurukulams PETs recruitment syllabus, exam pattern, Scheme of exam Syllabus for Residential Educational Institution Societies School Librarians Recruitment; Exam pattern and Syllabus for TS REIS's Physical Education Teachers Recruitment syllabus, exam scheme; tspsc tswreis, mjp bcwreis, tstwreis,tmreis School Librarians recruitment syllabus, exam scheme details are given here. 10. Analytical Abilities: Logical Reasoning and Data Interpretation. Information services- Bibliographic services, Indexing and Abstracting services, CAS, SDI, Document Delivery Services, Referral services; Online Services; User Education and User Studies; Information. Seeking Behaviour and Information Needs; Information Literacy. Information Technology –Software and Hardware; storage devices; Software – Operating Systems ; Application Software; Client-Server Technology; Different types of Servers. ; Communication Technology – Telecommunications; Modem; Router; Wi Fi; Transmission Media; Networking Concepts – Topologies- LAN, MAN, WAN; Communication Tools and Techniques – Fax, E-mail, Tele Conferencing, Video Conferencing, Voice Mail. Hyper Text and Hyper Media. List Serve / Electronic groups. ; Standards; Protocols and Formats; Interoperability. ; Internet Basics – WWW; Web Browsers; Search Engines; Internet Connectivity; Data Security- Computer Viruses. Library Automation -Areas of Automation; Hardware and Software selection; OPAC; Resource Sharing and Library Networks-ERNET, NICNET, DELNET, INFLIBNET; OCLC; Library Consortia; Information systems- INIS, AGRIS, PUBMED, INSPEC; Software for Library Automation. Types of Research; Scientific Method; Hypothesis , Data Collection; Sampling techniques; Methods of Research-Historical , Case Study, Survey, experimental method etc. ; Data Analysis & Interpretation; Report Writing; Bibliometrics, Scientometrics and Webometrics.